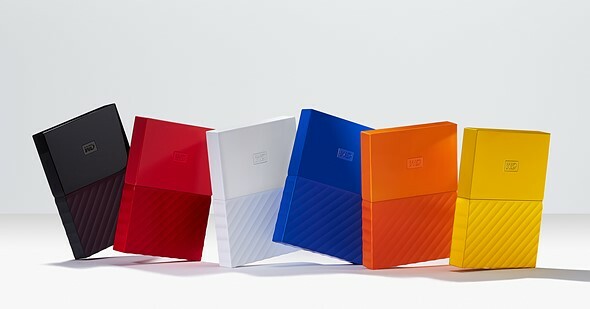 Western Digital has partnered with design firm fuseproject to create a new look for its My Passport and My Book external hard drives. They continue to offer the same hardware encryption, password protection and storage capacities of existing models, but they’ve been given a cosmetic update with new textures and vibrant colors. The My Passport and My Passport for Mac drives will start at $79.99 and the My Book desktop drive starts at $129.99. Each comes with a two-year warranty. IRVINE, Calif., October 11, 2016 – Western Digital Corporation (“Western Digital”) (NASDAQ: WDC), today introduced modern and innovative redesigns of its My Passport®, My Passport for Mac, and My Book® hard drive lines, which have been highly recognized leading sellers for more than a decade. In partnership with fuseproject, an award-winning industrial design and branding firm, the reimagined products were built with the customer in mind. Developed to help make a connection between the device and user, the new drives also include password protection and hardware encryption so customers will love their hard drive as much as they cherish the content stored on it. My Passport and My Passport for Mac portable hard drives are protected by a 2-year limited warranty and are available from wd.com and at select retailers and distributors around the world. My Passport drives have a Manufacturer’s Suggested Retail Price (MSRP) starting at $79.99 USD and the My Passport for Mac drive has a starting MSRP of $79.99 USD. 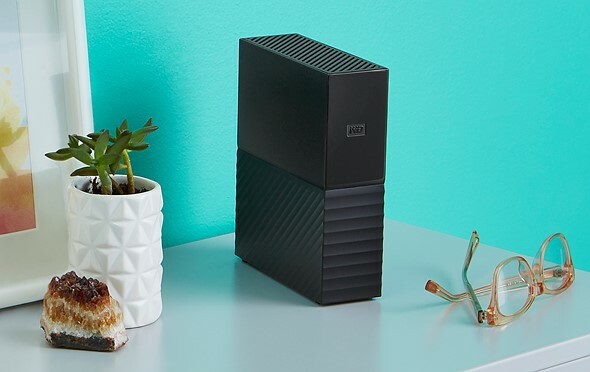 My Book desktop hard drives are protected by a 2-year limited warranty and are available from the WD store at wd.com and at select retailers and distributors. My Book drives have a Manufacturer’s Suggested Retail Price (MSRP) starting at $129.99 USD.